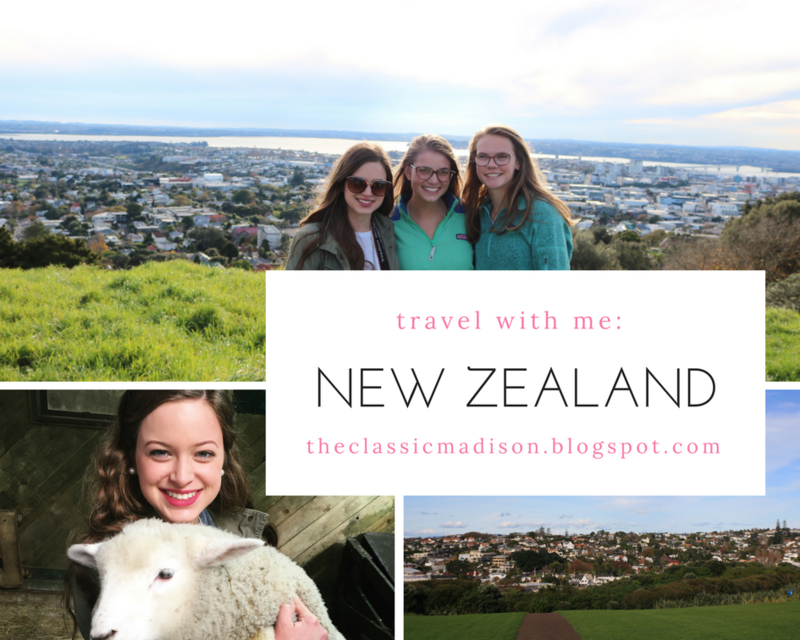 Today is the day to share my first of three travel blogs from my trip to New Zealand and Australia. I am currently writing this after staying up all night because the jet lag is real right now- the journey back home took over 30 hours and my circadian rhythm is completely out of sorts. However, I would take the jet lag again just so I could go back to these two beautiful, historical, cultural, and amazing places. A couple of months ago I did a poll on my reader survey as well as twitter asking what you all wanted to see on the blog, and many of you requested travel blogs which made me so happy because I knew I would be embarking on a great adventure in the not-too-distant future. Well, the trip has come and gone but I am still holding on to all my memories and stories from the trip! I went with a school group (an EF tour to be exact). I knew both the teachers who organized and chaperoned the trip and several of my friends were on the trip as well. 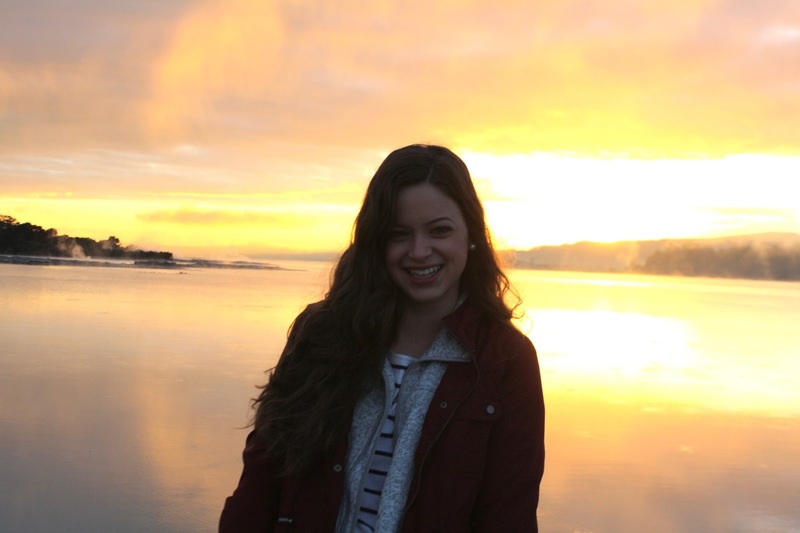 This was my first time traveling without my family which I thought would be difficult, but I realized that I am fully capable of traveling without my family and eventually on my own in the future. 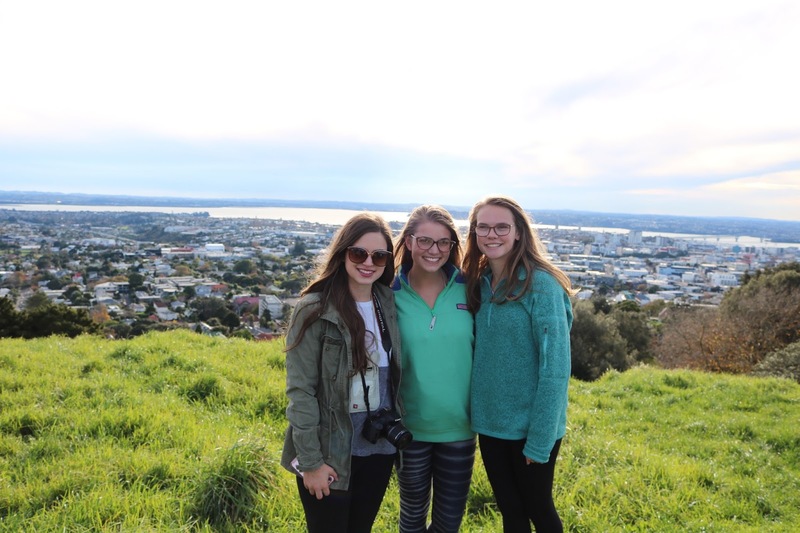 But, until the next adventure, here is my recap of New Zealand. I was in New Zealand for 3 nights. The group flew into Auckland and we were taken around the outskirts of Auckland and to two parks on a bus. Sadly we did not venture into Auckland because we had to road trip to the town we would be staying in for the first section of our trip- Rotorua. 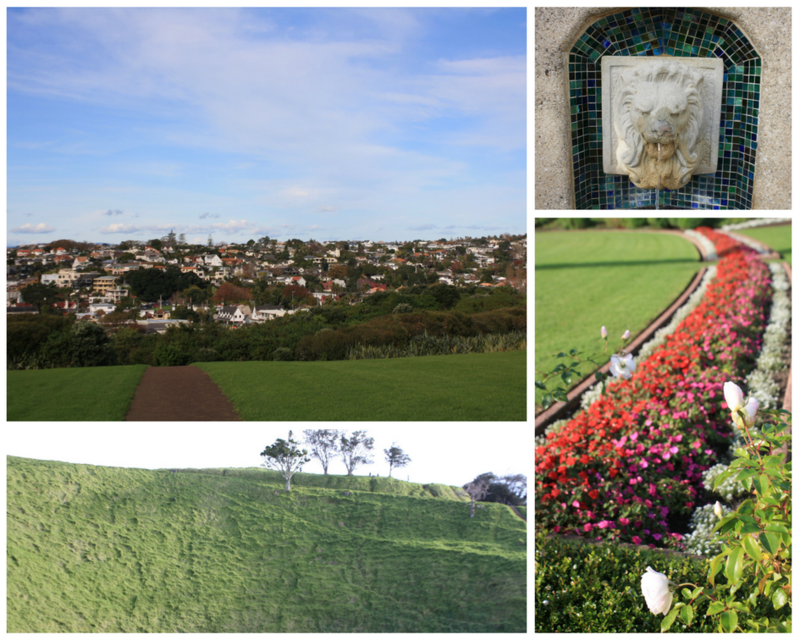 However, the two parks we stopped at gave amazing views of the city which made up for not being able to explore Auckland. The picture above is on top of a dormant volcano crater that gives a panoramic view of the city. These are my two friends Sammi and Morgan who I roomed with throughout the trip! Below are some pics from the crater and the park! 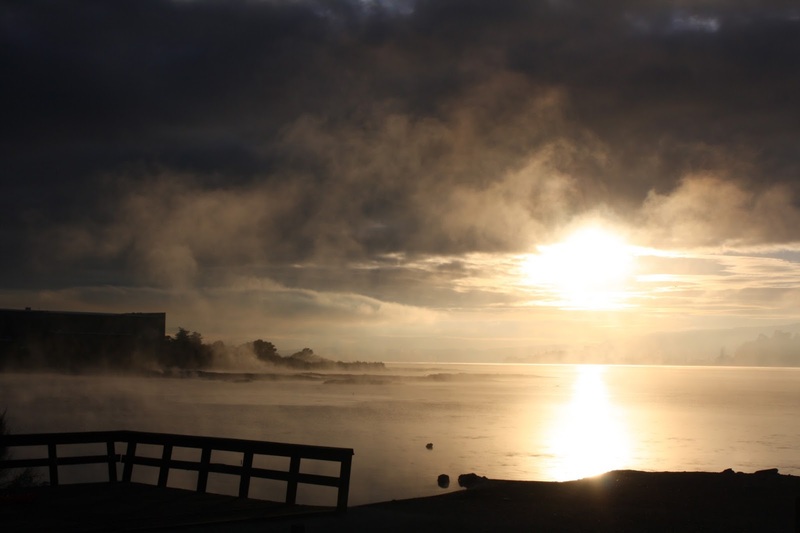 Rotorua is the Maori culture "capital" of New Zealand. The region is filled with geothermal activity (which makes the city smell like sulfur!) and tribal lands of the Maori tribes. The hotel we stayed at sat on one of the geothermal lakes, Lake Sudima. I watched the sunrise several mornings because it was stunning! 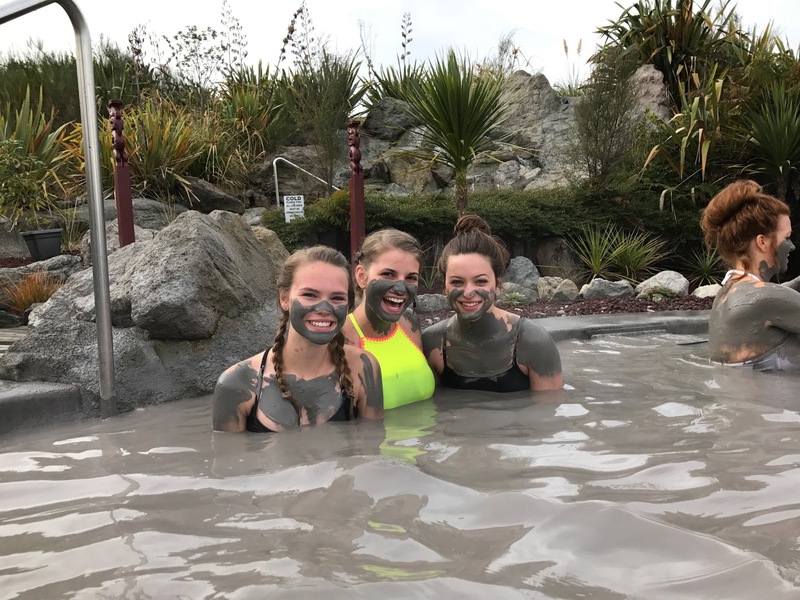 We then explored the geothermal activity by visiting a Maori tribal land where the people use geothermal activity to cook their food, heat their houses, and bathe! We even saw a Maori show later in the trip where we ate geothermal cooked food! 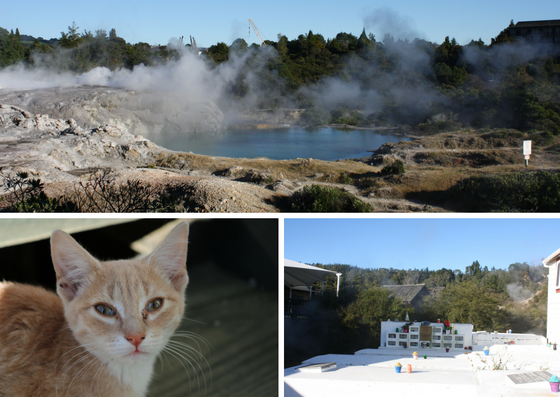 The collage below shows one of the hotsprings at the village, a cute little kitten who roamed around, and some of the artwork at the village. This village is a living village- I think around 100 people live there. 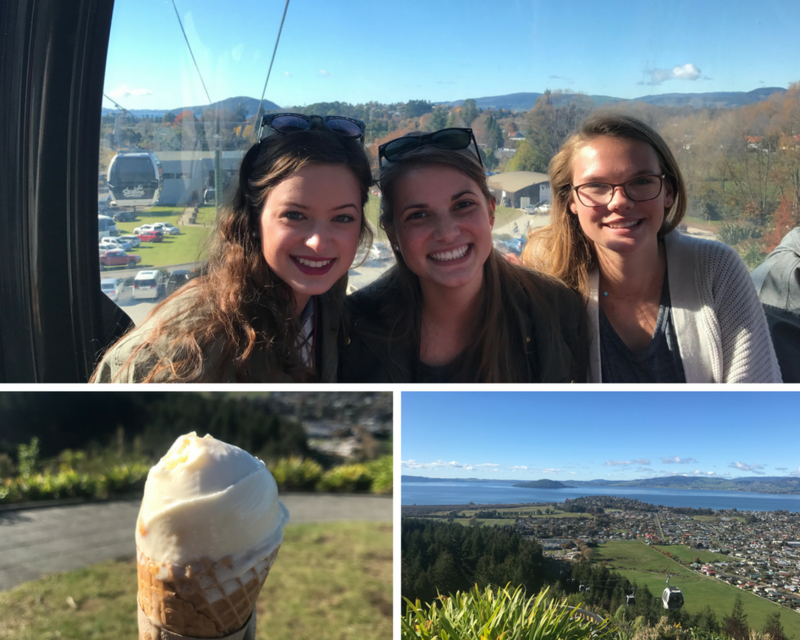 After cuddling with sheep, the group headed to a gondola ride that overlooked Rotorua. I tried the national ice cream of NZ- Hokey Pokey which was a sweet combination of vanilla bean ice cream and toffee crystals! So delicious. All the ice cream in NZ and Australia was incredible. Speaking of food, I thought I would share some of my favorites from NZ. I ate "chips" with every meal. These are basically thicker cut fries than in America but they were so good. I had at least a side of chips every day at one meal or two. A major tourist attraction in Rotorua is the amphibious duck boats that go on the land and water. I loved being able to see the scenery surrounding the area as we ventured up into a more serene area that surrounded the town. 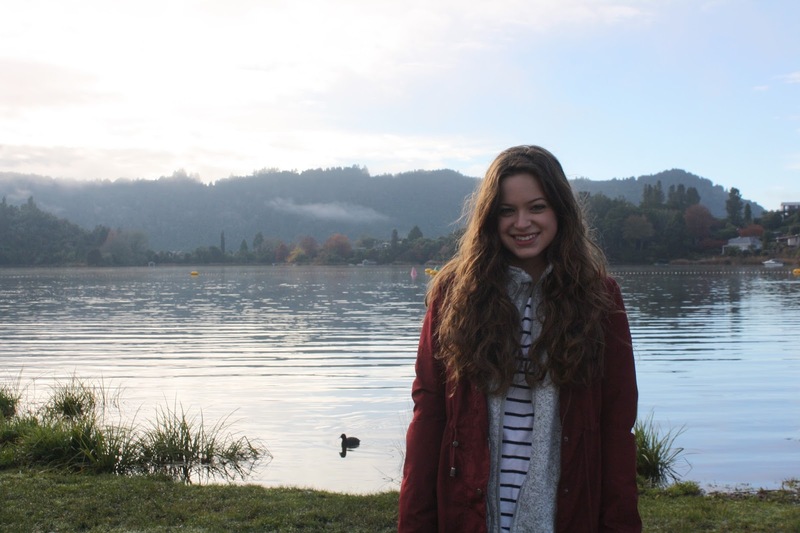 Here is a pic of me in front of one of the lakes. Since we were in the southern hemisphere, the two countries were just entering winter. That being said, the boat tour was just a bit chilly, so the group headed to a geothermal mud spa to warm up! Apparently the mud takes off 10 years, but I don't think I look anywhere near being 8 years old again! 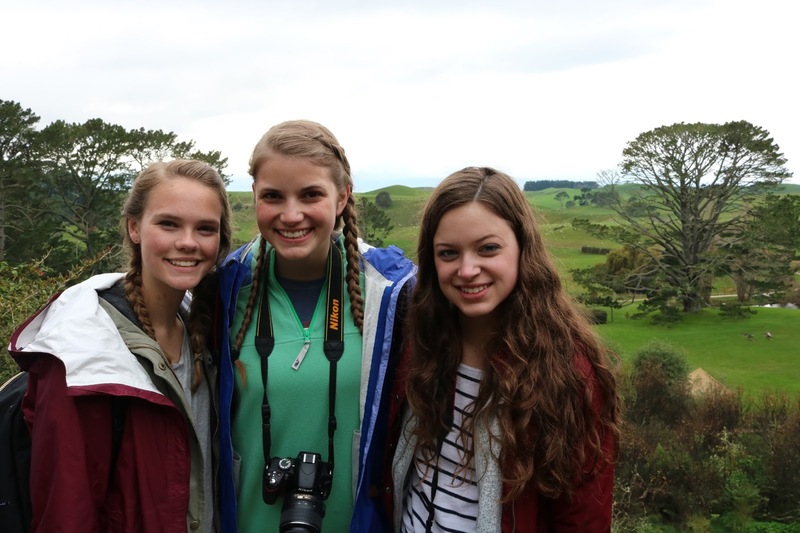 The final activity in New Zealand was visiting Hobbiton. Any one who is a fan of The Hobbit and Lord of the Rings knows that the movies were filmed in New Zealand. 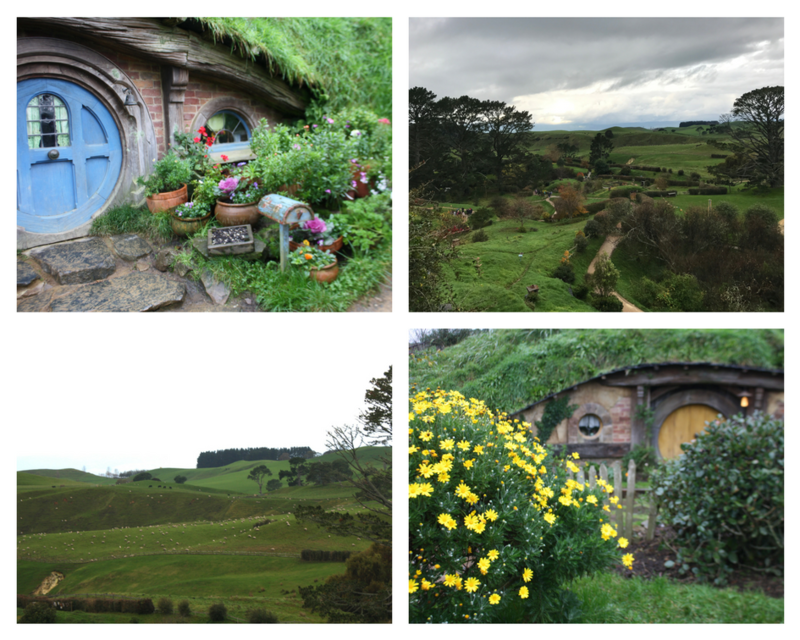 I've only read the first book and seen the first movie, but I still wanted to see the beautiful scenery of Hobbiton, especially since it overlooks farm fields of New Zealand that are the epitome of what I expected NZ to look like! I took some pictures of the Hobbit houses. In the bottom left photo, those white blurs are sheep! 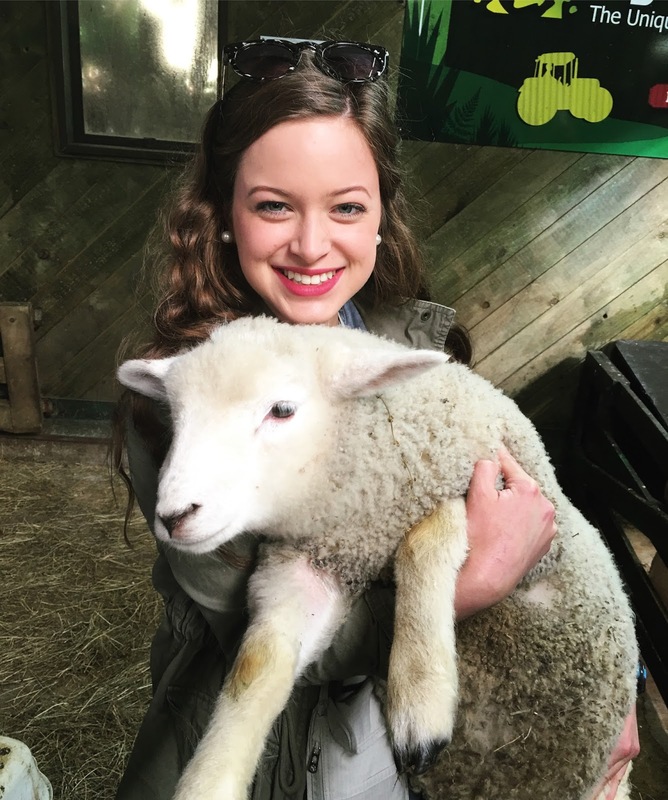 Thousands of sheep roamed the beautiful country side surrounding Hobbiton. I hope you all enjoyed a glimpse into my travels in New Zealand. I took over 350 photos here, so obviously it is difficult to condense that to the amount on here. I even wrote in a travel diary that took up about 10 pages for NZ. There is no way I could include every experience, meal, and memory. That being said, whenever you travel, take the opportunity to write down experiences and favorite things (or everything like I did!) and take as many pictures as you can. Even if you never get the chance to return, you will always be able to remember the amazing time you had with photos and words. Wow you managed to cram so much into a short space of time! Hokey pokey is my favourite ice cream flavour and it makes me so sad that the rest of the world doesn't have it! That hill you climbed in Auckland is really close to where I live! It's such a beautiful spot. You'll have to come back and see Auckland again because it's a really cool city!